Most people think that they can simply go out and buy any wood floor and be just as happy with the results, but when it comes to wood flooring, there’s a lot more variation than you might think. 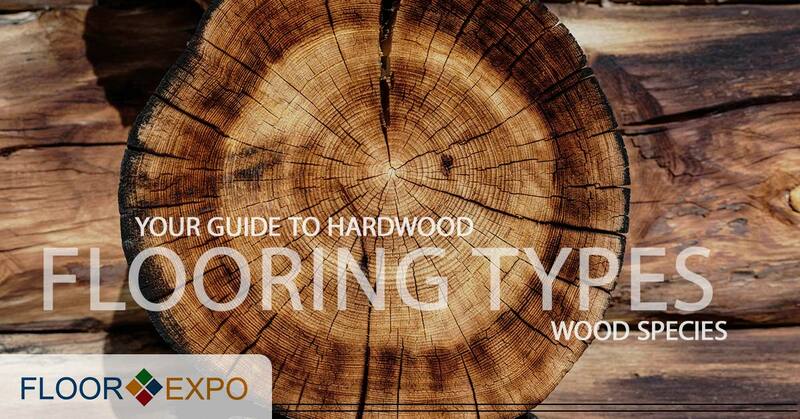 At Floor Expo, we’re dedicated to helping you find the right flooring solutions, and that’s why our hardwood flooring installers in New Jersey have set out to help teach you the ropes of choosing wood flooring in this blog series — Your Guide to Hardwood Flooring Types. Read Part 1 to learn the pros and cons of solid and engineered wood floors; read Part 2 to learn all about the differences between prefinished and unfinished wood floors; read Part 3 to learn the basics of softwood and hardwood flooring, and keep reading to learn all about some of the most popular species you can choose for your wood floors. Why it’s important to find the right species for your hardwood floors. Many people are under the misconception that a hardwood floor is a hardwood floor, and that all hardwood floors provide the same kind of durability, lifespan, etc. But, that’s simply not the case. Every species of wood is different, and will have a different look, lifespan and other properties. Finding the right hardwood flooring for your needs means finding the right wood species, and we hope that this guide will help! As the most popular choice for wood floors in North America, oak flooring is known for its ability to resist deep scratches and dents. Oak features a grain pattern that is both attractive and obvious, and it is resilient and attractive enough that you won’t need too many rugs with oak floors. Oak can start to look old and worn over the years, but can easily be revitalized when you refinish it. Ash is distinctive because of its light appearance. If you’re someone who can’t get enough of hardwood floors, ash is a great choice because it is one of the toughest and hardest species available. An added bonus of choosing Ash over other hardwoods is that it’s usually a bit more affordable. If you’re hoping to create a timeless, classic look in your home, mahogany is a beautiful choice. Prized for its rich color and aesthetic appeal, mahogany not only makes a great option for floors, it’s also used frequently in musical instruments, boats and furniture. When used for flooring, mahogany is resistant to water and extremely durable. usually more comfortable underfoot and can be less expensive than some popular hardwood varieties. Walnut usually comes in shades of chocolate brown; though, there are different varieties to choose from. For example, European walnut has a finer texture and a lighter color than American black walnut. Walnut can come with a hefty price tag, but its strength and durability make it well worth the cost. Maple has a distinct, yellowish exterior, and it doesn’t absorb dark stains all that well. Maple also has a very subtle grain pattern. However, maple has a curly grain that is so hard and durable, it’s not uncommon to find it in bowling alleys. And, if maple can handle having bowling balls tossed and rolled on it all day long, it’s sure to stand up to any amount of wear and tear the average household could place on it. Cherry floors will actually darken with age, and like many other wood species, it looks absolutely breathtaking when finished. Cherry flooring is relatively easy to maintain, but it’s also prone to scratching. When most people think of hickory flooring, they think of rustic cabins or log homes in the mountains. However, hickory can be a stunning choice for a home with any aesthetic design. Hickory is one of the hardest types of wood flooring available, which makes it durable enough to stand up to most abuses you could throw at it. Hickory is so durable, in fact, that it’s ideal for homes with pets and children. Want the incredible look of a mahogany floor without the cost? If so, you’re going to love lyptus. Lyptus is almost indistinguishable for mahogany, and it’s often confused with it, but it’s much less expensive. Since it’s much harder than many other options, including oak, it’s a durable choice. The official name of Brazilian cherry is Jatoba, but here in the States, it’s more commonly referred to as Brazilian cherry. This stunning species found in Peru and Mexico has a lovely burgundy color that makes it ideal for modern office spaces and living areas. Much like ash, Brazilian cherry is extremely hard, which helps to make it durable. For installation, you’re probably better off hiring an expert, as DIY installations can be tough with this species. Rosewood is one of the most distinct types of wood, because it has its own unique fragrance. Believe it or not, when you’re in a room with rosewood, you should actually be able to detect a slight hint of roses. Additionally, rosewood features unique grain patterns, and it’s available in a wide range or colors, from purple to yellow. 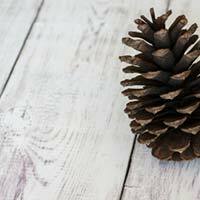 Like pine, douglas fir is a softwood species, which makes it less resistant to denting and scratching than hardwood species. Douglas fir comes in a lovely yellowish tan color, but its softness makes it less than ideal for areas that get much traffic in your home. Let us help you find the right species for your floors! As you can see, when it comes to wood species, there are lots of options to choose from. We hope that this blog will make it easier for you to sort through the many options available to you, but please don’t hesitate to contact us if you have questions or concerns. In addition to offering a huge selection of wood floors to choose from, we also offer free design consultations, and our experts are happy to help you find the right flooring option for your needs. Contact us today to get started!